Digital content consumption means users are no longer going to the magazine stand; instead they interact online with content presented in a variety of formats and settings. These new means of content interaction require content creators to adapt or be left behind. 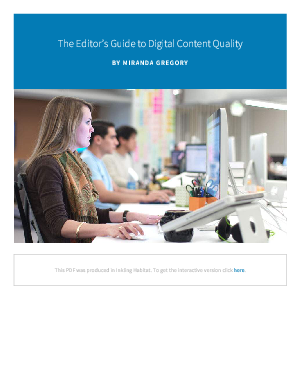 Download this whitepaper to understand the challenge that content creators are currently facing while creating quality digital content and see what your organization could be doing to address the demands of digital content creation.